When people ask me to describe my personal style, I find it difficult. 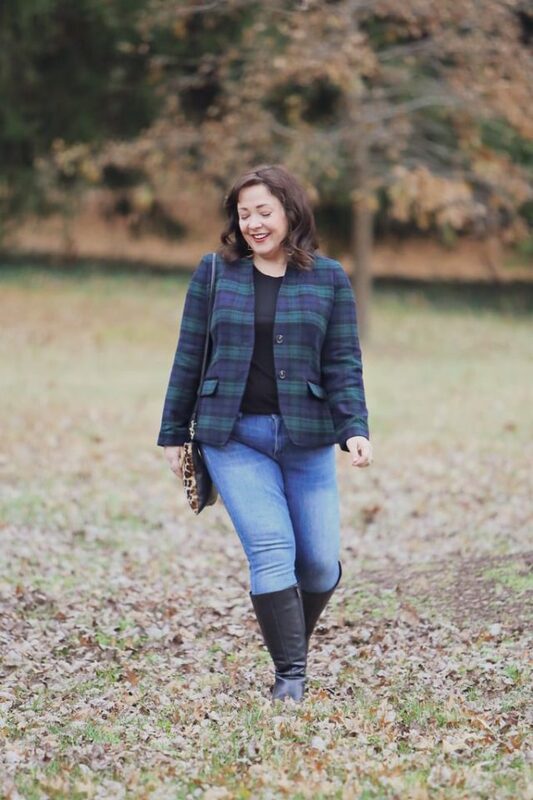 Angie from YouLookFab once defined it as Modern Classic, and I feel this look is a good example of modern classic style. 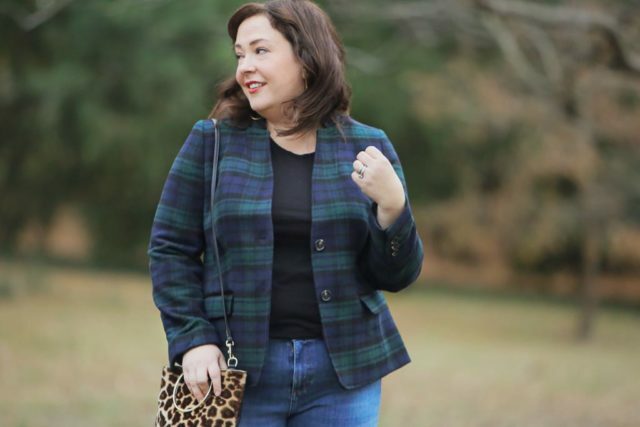 Not only that, the black watch blazer is from Talbots, which has the tagline Modern Classic Style. A perfect match, no? 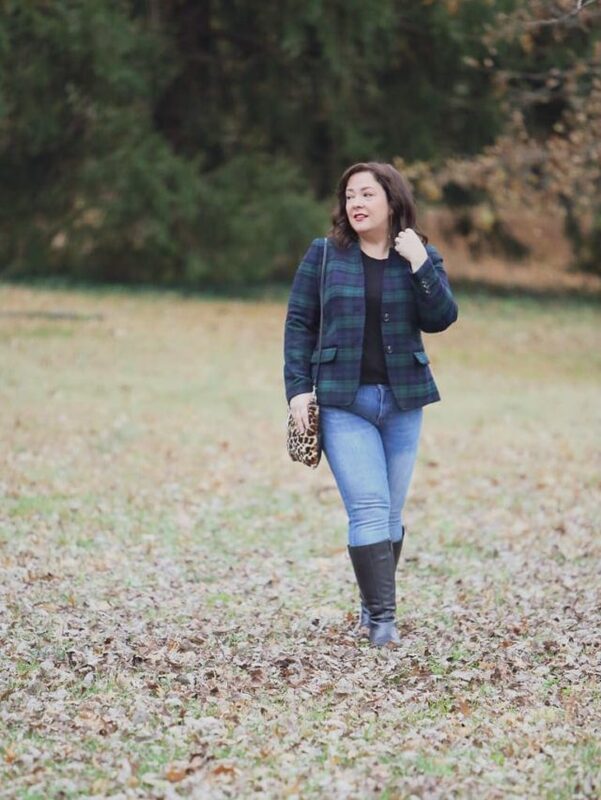 This blazer is part of Talbots' Black Watch Plaid capsule collection which dropped Black Friday. Talbots sent it to me Wednesday and I planned to wear it with my black cashmere turtleneck but it was still damp from being laundered. But it shows how such a classic blazer can be dressed up or down quite nicely. 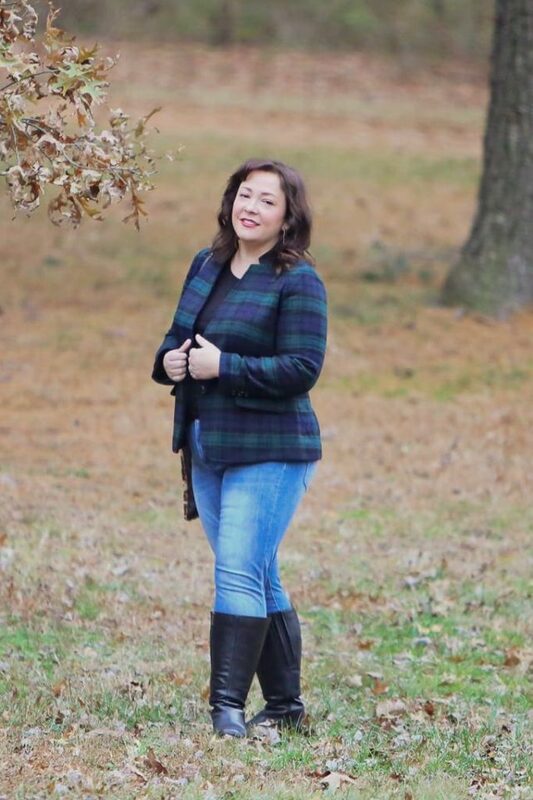 Imagine the juxtaposition of wearing this black watch plaid blazer with a band t-shirt, or give it a preppy touch with a Breton t-shirt. 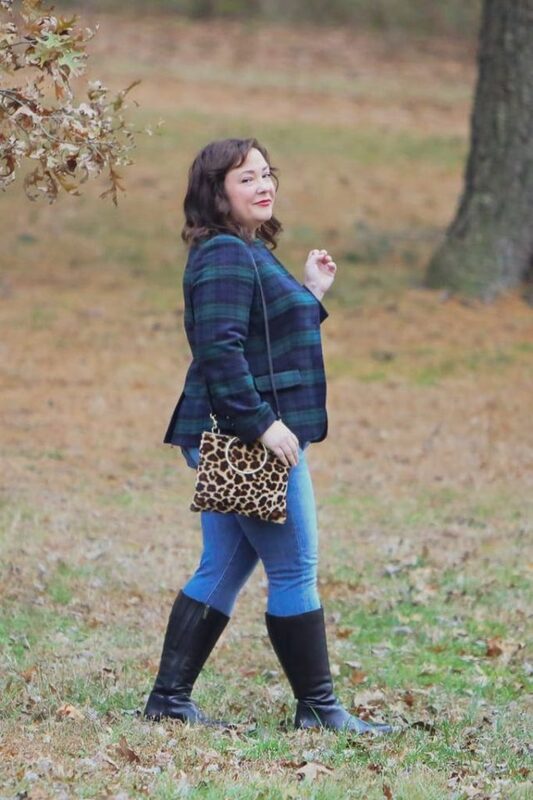 I thought it would be fun to mix patterns and added this leopard bag I bought a few months ago. And then nothing is better for cold days than tall boots for extra warmth and wind protection. I'm going to be honest, this will be the last time you will see this blazer on me. I got home and my mom came by to pick Emerson up for a sleepover and she tried on the blazer and looked amazing on it so I gave it to her. 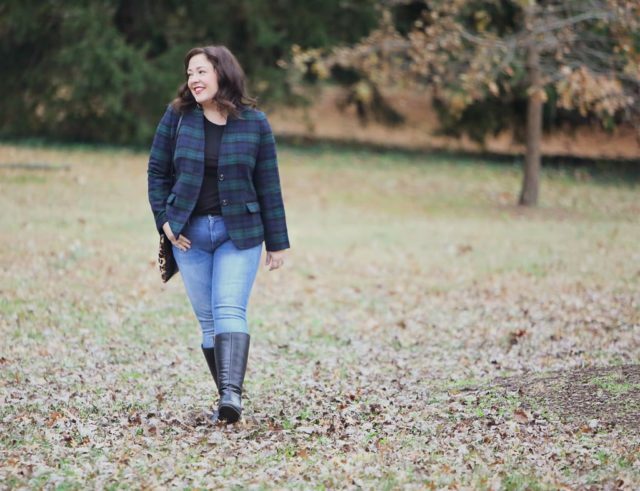 While I likely would have worn it a lot this winter, it's nice to be able to share the benefits of blogging with my family. The next time she wears it I'll try to capture a photo and share on Instagram. The family that rocks modern classic style together stays together! 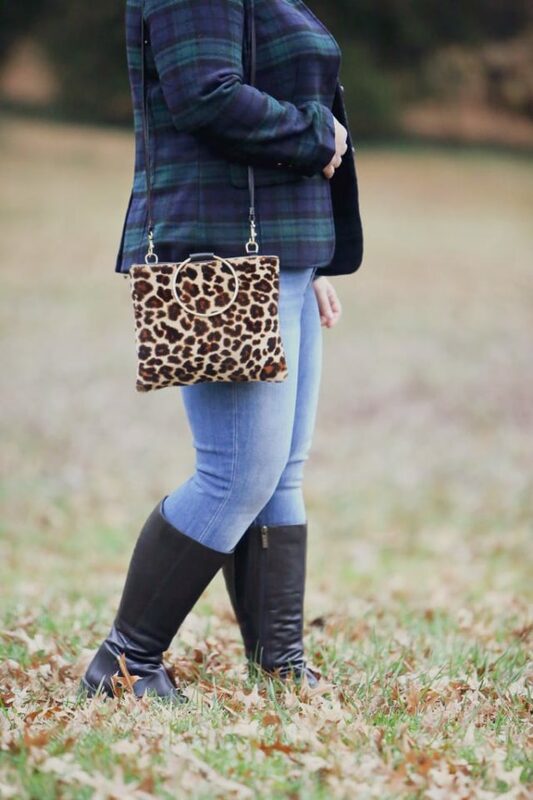 Love the leopard bag with the plaid! I may have to steal this definition as I frequently am like it’s easier to describe what I do NOT like than what I do like to wear! I think it’s a good description for your style too Alissa!